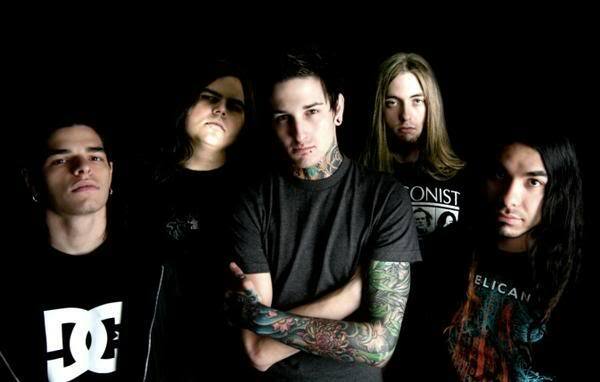 Suicide Silence is a band from Riverside California. 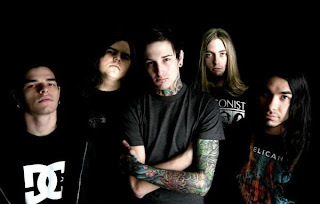 The group consists of vocalist Mitch Lucker, guitarist Christ Garza and Mark Helymun, drummer Alex Lopez and Bassist Dan Kenny. The band was formed in 2002 and has released 3 full length studio albums. The band has succeeded in a lot and met a great amount of praise and in 2009 was awarded the Revolver Golden God award for "best new talent." Now at one time when the band did their first performance was in a local area of Riverside and there was a different line-up at the time. I've listened to a couple songs of the band. It's a good band and does have high potential but this just isn't my type of band. From what I hear I don't really like the constant screaming, granted Dir En Grey screams, but not through out the whole song. I clicked on the song "You only live once" thinking that it could have good lyrics, the only problem was I couldn't even understand a word he was saying through out the whole song. Did I like the melody? of course but I'd like to understand what I'm listening to. The next song I listened to was "Slaves of substance" and "Bludgeoned to death" which was provided with lyrics. Looking over the lyrics I like what is being said. It reminds me of bands exposing human nature for what it really is. I'm not sure if I'll label them as "Death Core" but I will admitt their lyrics are pretty good and meaningful which is a step up from some artist although I would like to hear the vocalist actually sing. I want to hear what kind of voice he has. Now for the inspiration of the band. Each bands sometimes have someone they are inspired by and also aren't afraid to promote that. The band themselves have stated that they are inspired by Meshuggah, Sepultra, Cannibal Corpse, Suffocation, slipknot, Korn and other well known bands. My final verdict for this band is a 3.5 out of 5. I like the lyrics a lot and I love bands that expose the truth about human nature and I have nothing against the melodies because the music itself is amazing. My only issue is screaming through out the whole song. I understand that some people like this and that's all fine but it's just not my cup of tea. Kyo of Dir En Grey sings but then again he also sings in his songs. I like "dual vocals" I guess you could say. If I had an oppurtunity to see them in concert I probably would just to see how they do during live performances. It could be that I just need to get back in the "screaming" vocals again after being away from it for so long. Check out more updates about Suicide Silence on their official website.